A 30 y.o. woman with HIV and lupus was treated for a rash on the day pta. She now presents with fevers, myalgias and worsening rash. Our patient had been treated for syphilis the day before arrival with penicillin. She was suffering from a Jarisch-Herxheimer reaction. This is a reaction to the endotoxin released by the death of spirochetes after treatment of syphilis. It occurs in 50% of patients with primary syphilis and 90% of patients with secondary syphilis. The reaction is a sepsis mimic because it presents with fever, hypotension, headache, tachycardia, worsening skin rash and tachycardia. Other diseases caused by spirochetes can cause the same reaction: Lyme disease, relapsing fever, and leptospirosis. It has also been reported after treatment of Q fever, bartonellosis, brucellosis, trichinellosis and African trypanosomiasis. St. Louis as of 2016 still ranks number one with the highest rates of STDs per capita. It is known as a "condom desert" since fewer stores carry condoms than in most cities in a study done by St. Louis University. 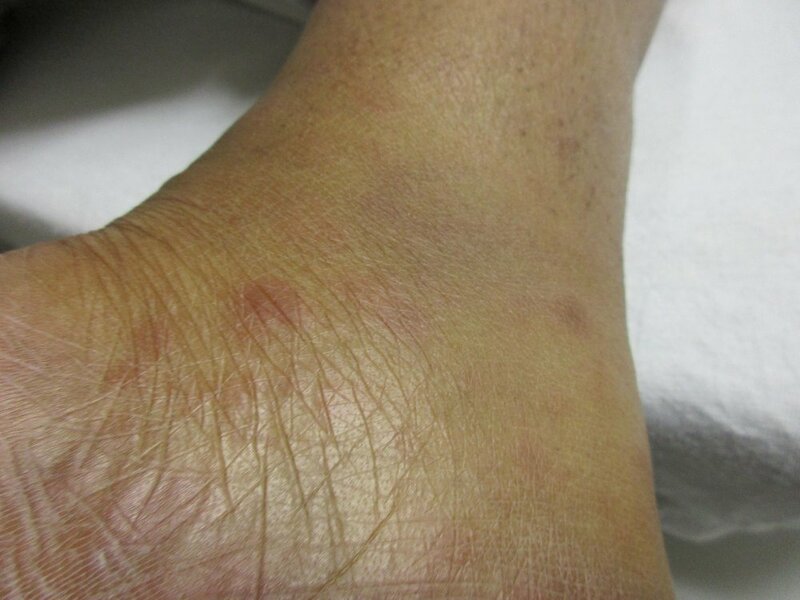 Our patient was treated symptomatically with fluids and pain medication with resolution of her symptoms. Newer PostA 38y.o. woman arrested after an opiate overdose. Immediate cpr was done by her boyfriend and she was revived. Older PostA 30 y.o. woman comes to the ED with hoarseness . She is scoped and you find what is pictured.